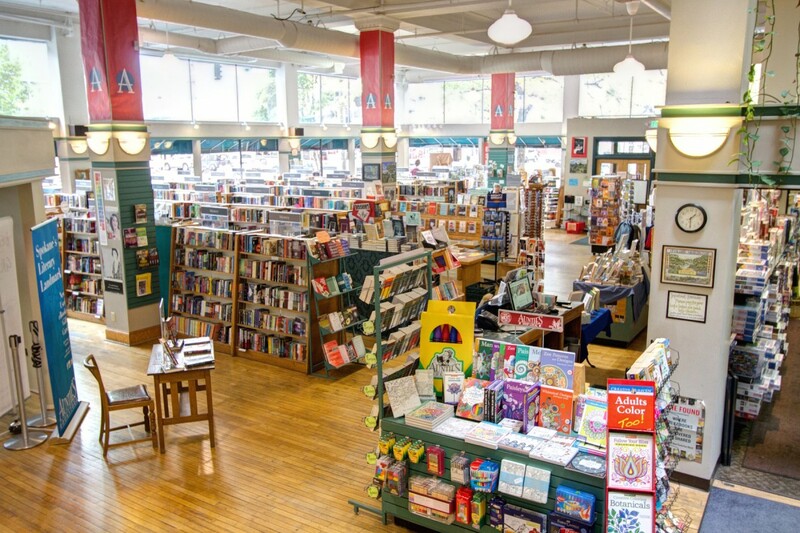 Starting today, Auntie's Bookstore is under new ownership. Loyal, local shoppers don't have to worry — the downtown bookstore's new owner is Spokane-based, has lasting ties to the business and doesn't plan to make any major changes. The Auntie's we know and love will continue to be. O'Harra and business partner Shannon Ahern, who currently owns the Liberty Building, originally opened the store in 1978 as The Book and Game Company. One of Waite's first jobs was working there, back in 1983 when it was still located inside the Flour Mill. In 1999, Waite bought the increasingly successful sci-fi/fantasy component of the business, Merlyn's Comics, which he continues to own and operate on West Main Avenue. While Auntie's neighbor in the Liberty Building, Uncle's Games, Puzzles & More, sells many of the same gaming products as Merlyn's, Waite doesn't expect increased competition between his and that separately-operated business. Uncle's also originally branched off from Auntie's, and continues to operate as a separate entity co-owned by Ahern, with multiple locations across the Pacific Northwest, including in the Spokane Valley Mall. During the transition, Waite says O'Harra will continue to have a relationship with Auntie's. Meanwhile, he plans to evenly split his time between Auntie's and Merlyn's, and won't make any staffing changes at either store.